Rathin Mathur has been a corporate honcho with two decades of experience behind him, but, as the saying goes, there’s no tie quite as strong as that of blood. So when he comes home after a tiring day in the office, he likes to relax by exchanging his blazer for an apron and getting into the kitchen. 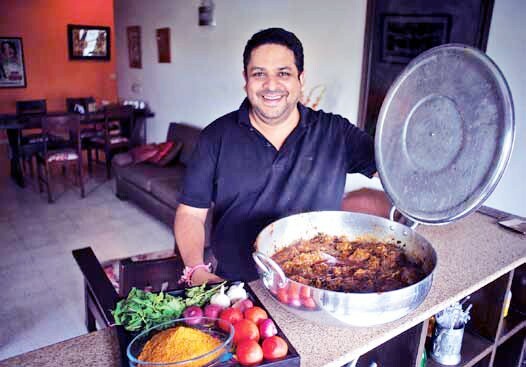 Mathur comes from the Kayasth community whose cuisine is a finely-tuned blend of Muslim and Hindu dishes and cooking techniques. What’s more is that in this particular community, it is the men whose cooking is famous, much more than the ladies! And though the meat cookery is well-known, the vegetarian dishes are just as flavourful. Mathur makes just one dish that he has nicknamed Hmmmutton. (As a community, there are two ingredients that never fail to elicit scorn: paneer and chicken). He cooks it in a large vessel that he has had specially fabricated. Cooking time is long and the method is painstaking: the meat has to stick to the bottom of the pan ever so slightly, to ensure a good crust. It cannot be overcooked or it will disintegrate and of course, it cannot be undercooked because some of the meat does have to be cooked till it comes off the bone. 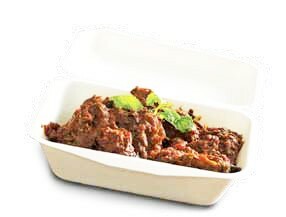 You can order Hmmmutton from the eponymous page on Facebook!